The committee in its fourth year John Every, Max Pride, Richard Yeomans, Barry Elliott, Iain Woodhill and Neville Stanfield. IN Australia, prostate cancer is the most commonly diagnosed cancer in men with more than 3,000 men dying from it every year. For men the risk is one in seven by age 75. Those with direct relatives that have had prostate cancer are at an even greater risk. Port Stephens has the active Tomaree Prostate Cancer Support Group to help the men in our community who are undergoing treatment for Prostate Cancer. Early detection is important and the general recommendation os for men to have a PSA blood test every two years from age 50-69 and for those who are high risk commencing earlier. 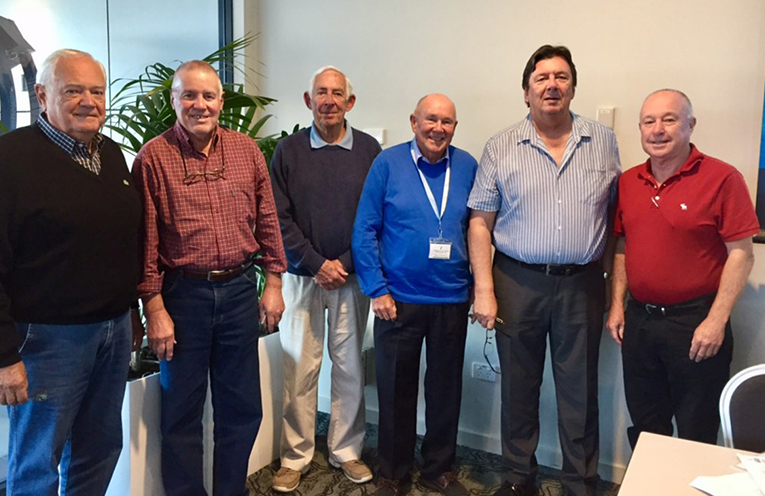 The Tomaree Prostate Cancer Support Group was founded six years ago to provide support, transport to and from treatment, develop awareness and educational programs. The volunteers average one patient transport per day every day. They also operate a buddy system and the transportation that the group provides has seen 2214 trips mostly to Newcastle between January and June 2018. Max Pride of the Tomaree Prostate Cancer Support Group told News Of The Area, “That’s 603 patients and over 268,000 km’s travelled. This service has been funded by local clubs community groups and the Cancer Council of NSW as well as donations from the patients. The Tomaree Prostate Cancer Support Group has also provided donations to the Mater Hospital for research into prostate cancer, Port Stephens Veterans and Aged Care, Tomaree Community Hospital and the Tomaree Palliative Care Support Group. You can find out more by contacting the group’s President, Iain Woodhill on 0418 275 298.